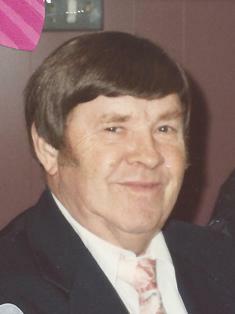 George Michael Onufer, Jr., 93, of Allentown, passed away on Thursday, February 28, in Palm Beach Gardens, Florida, where he had recently moved. He was a loved father, grandfather, great-grandfather, brother, uncle, and treasured husband of 64 years to his wife, Bess. 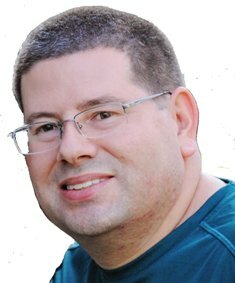 Services: Family and friends are invited to attend services at Kohut Funeral Home, 950 North Front St., Allentown at 11 AM, Saturday, May 4. The family will receive visitors before the service 10-11 AM. Roman Oleszczuk, 93, of Allentown, passed away October 24, 2016. He was the loving husband of the late Paraskewia “Anna” (Warchomnij) Oleszczuk. Born in Ukraine, he was the son of the late Andrew and Paraskewia Oleszczuk. Roman worked for many years as a butcher for A&B Meats. He was a member of St. Josaphat Ukrainian Catholic Church. Roman enjoyed participating in the OLHC Seniors and was actively involved with their leisure group. He volunteered for 15 years at OLHC School in their cafeteria and anywhere needed. He was known amongst the kids as “Mr. Smiley” with the tootsie rolls. He was a faithfilled, kind and loving man. Roman also enjoyed doing different puzzles, especially crosswords. Daughter- Anna Oleszczuk of Allentown, Son- Andrew and wife Sandra Oleszczuk of South Carolina, 2 Granddaughters. He was predeceased by siblings in the Ukraine. A viewing will be held on Thursday 6-8PM with Parastas at 7PM in Kohut Funeral Home, Inc. 950 N Front St Allentown. A Funeral Service will be held Friday at 10AM in St. Josaphat Ukrainian Catholic Church 1826 Kenmore Ave Bethlehem. Burial to follow in St. John the Baptist Ukrainian Catholic Cemetery, Northampton. In lieu of flowers, contributions can be made to St. Josaphat Ukrainian Catholic Church or Our Lady Help of Christians Catholic Church care of the funeral home. Ann S. (Doddy) Oswald, 76, of Northampton, passed away February 22, 2016. She was the loving wife of the late Richard D. Oswald. Born in Allentown, she was the daughter of the late Ella (Ritz) and George Doddy. Ann was a member of St. John’s Evangelical Lutheran Church, Whitehall and the Red Hat Society. She enjoyed social activities such as line dancing and drum circle. Daughter- Stacey (Oswald) Smith and husband Chad of Bethlehem, PA; Son- Richard Oswald Jr. and wife Christine of Lilburn, Georgia; Grandchildren- Tyler and Cody Smith, Grace, Joy, Faith and Hope Oswald; Brother- George Doddy of Palmyra, New Jersey. She was predeceased by her sister- Eleanor Wisdom. A viewing will be held on Monday 10-11AM with a service at 11AM in Kohut Funeral Home, Inc. 950 N. Front St. Allentown, PA 18102. Burial to follow in Arlington Memorial Park, Whitehall. In lieu of flowers, contributions can be made in Ann's memory to St. John's Evangelical Lutheran Church, Whitehall. Walentyna (Rudzisz) Ogint, 88, of Allentown, passed away April 1, 2015, surrounded by her loving family in her home. Born in Vilno, Poland, she was the daughter of the late Bronistan Rudzisz and Zofia Rudiszowa. She was a member of Ss. Peter and Paul Polish Catholic Church. Daughters- Grace Ogint of Allentown and Regina Helton of Spencer, OK; Son- Waldemar and wife Katie Ogint of Bixby, OK; 4 Grandchildren and 3 Great Grandchildren. A viewing will be held on Thursday 9-10AM in Kohut Funeral Home, Inc. 950 N. Front St. Allentown 18102. Mass of Christian Burial will be celebrated Thursday at 10:30AM in Ss Peter and Paul Polish Catholic Church 1065 Fullerton Ave Allentown 18102. Burial to follow in Our Lady of Czestochowa Cemetery, Doylestown. In lieu of flowers, donations can be made in Walentyna’s memory to the church or to the Children’s Home in Poland 33-100 TARNOW, ul. Robotnicza 4. 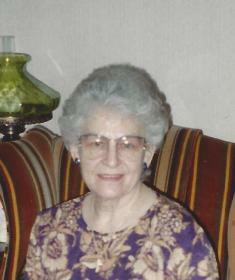 Emilia M. (Zamecnik) Ondush, 90, of Allentown, passed away May 6, 2014 in Alexandria Manor, Bethlehem. She was the loving wife of 52 years to the late Michael J. Ondush, Sr. who passed away in 1998. Born in Allentown, she was the daughter of the late Kornell and Anna (Gallo) Zamecnik. Emilia retired after 35 ½ years of service from the former Schneider Manufacturing. She was a member of St. John the Baptist Slovak Catholic Church and Unite, formerly ILGWU. She was predeceased by her sister- Anna Posivak. A viewing will be held on Monday 6-8PM and Tuesday 9:30-10:30AM in Kohut Funeral Home, Inc. 950 N. Front St. Allentown, PA 18102. Mass of Christian Burial to be celebrated at 11AM Tuesday in St. John the Baptist Slovak Catholic Church 924 N. Front St. Allentown, PA 18102. Burial to follow in the parish cemetery. Donations can be made in Emilia’s memory to the church. 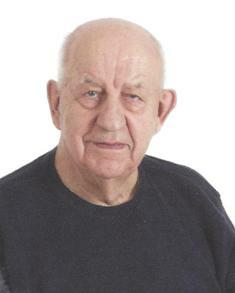 Vincent Osek, 89, of Whitehall, passed away Oct. 7, 2013 in his home. 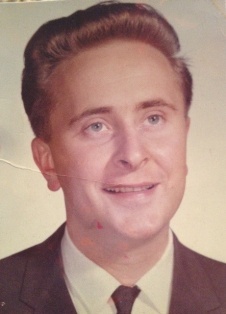 Born June 27, 1924 in Slovania, he was the son of the late Joseph and Cecelia (Picigos) Osek. He retired from Saucon Valley Country Club in 1988 after 37 years of service as the receiving clerk. He was predeceased by a brother- Johann Osek and sisters- Ivanka, Mima, Angelia, Theresa and his twin Amelia. A viewing will be held Monday 10-11AM with a service at 11AM all in Kohut Funeral Home, Inc. 950 N Front St. Allentown 18102. Burial to follow in Highland Memorial Park. In lieu of flowers, donations can be made to Forgotten Felines and Fidos 6022 Mountain Rd Germansville, PA 18053 or to St. Marys Church 1031 Fullerton Ave Allentown, PA 18102. 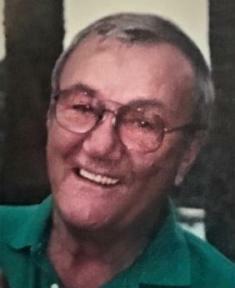 Dr. Charles Onusko (nysh), age 77, formerly of Allentown, PA died on 12/8/2012 at 11:33 am, surrounded by his family. He was preceded in the death by his parents, John and Anne Onuskonysh, his brother John and four sisters, Julie, Mary, Rose and Ellen, all of Allentown, PA.
Charles was a graduate of Kutstown and Lehigh Universities. While at Lehigh University, he was in the Doctoral Program and was able to achieve certification for a Superintendant of School. Charles was a special education and history teacher in the Allentown School District. In the Easton Area School District he was an Assistance Principal at Easton Jr. High School. In the Western Wayne School District, Charles served as an Elementary Middle School Principal for eight years. When he came to Milford School District he was the school bus transportation supervisor and visiting teacher. He also served a short time as a special education teacher. He especially enjoyed working with the great staff of the Milford School District. Charles also served in the U.S. Air Force from 1954 to 1957. He was stationed in California (Parks Air Force Base), North Africa (Nuisour Air Deport) and Brooklyn N.Y. (Floyd Bennett Naval Air Station). He was honorably discharged with a rank of AIC (Sergeant). After his discharge he worked at the Allentown State Hospital, Children’s Division where he was in charge of a building with 50 patients. He worked for Allentown State Hospital for eleven years. Charles was married to Nancy, his wonderful wife of 50 years. He is survived by a son, John, married to Dale of Coatesville, PA. Their children are Douglas and Allison. Her spouse Shawn and their two children Winnie and Verity. His other son, Michael of Lincoln, DE with his wife Angela and their two children, Nikki and Shannon. A daughter Pamela, of Houston, DE married to Max Robichaud with two children, Austin and Max III. A sister- Katherine Haines of Allentown. Friends may attend the viewing at Berry-Short Funeral Home Milford, DE on Wednesday, 12/12/12 from 4-6pm. A funeral service will be held at 11:00am, Thursday, 12/13/12, at Saint Mary’s Ukrainian Orthodox Church 1031 Fullerton Ave Allentown, PA 18102. Burial to follow in the parish cemetery. Kohut Funeral Home, Inc. is in charge of local arrangements. The family has requested donations be made to the SPCA or Safe Haven Animal Sanctuary on his behalf. Joseph M. Oravec, 41, of Whitehall, passed away Friday, November 30, 2012. He was the loving and devoted husband, of 16 years, to Jennifer L. (Kalavoda) Oravec. Born in Allentown, he was the son of Joseph P. and Barbara L. (Hipple) Oravec. Joe graduated from Allentown Central Catholic High School and attended Penn State University. He worked as a Supervisor for Synchronoss Technologies for 3 years. Joe was a member of Holy Trinity Catholic Church. He loved spending time with his family, camping, biking, fishing, playing soccer, enjoyed building LEGOS and scouting activities with his sons. A viewing will be held on Tuesday 6-8PM and Wednesday 9-10AM all in Kohut Funeral Home, Inc. 950 N. Front St. Allentown, PA 18102. Mass of Christian Burial to be celebrated Wednesday at 11AM in Holy Trinity Catholic Church 4456 Main St. Whitehall, PA 18052. Burial to follow in Grandview Cemetery. In lieu of flowers, donations can made in Joe’s memory to the Oravec Children’s College Fund c/o Kohut Funeral Home, Inc.